River-related hazards, mainly floods and inundations are the most widespread and frequent of all the natural damaging phenomena, causing annually significant victims and economic losses. This chapter focuses on Romania, a country with one of the highest flood risk in Europe. According to EM-DAT database, within the period 1900–2016, more than half (55%) of the total number of disasters (94 events) were induced by floods. During the mentioned period, they were responsible for 57% of the total damage costs related to the top 10 disasters in Romania. 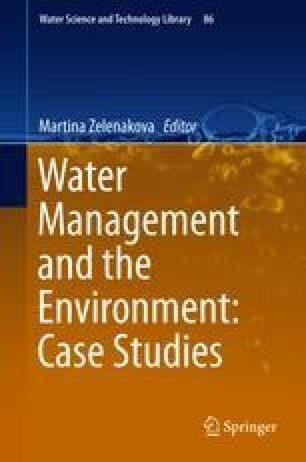 The chapter presents a synthetic overview on the river-born hazards as floods and flooding, low-waters and hydrological droughts, and other damaging phenomena (water freezing, ice jams, sediment, and channel dynamics reservoirs’ silting) with relevant examples, as well as with references to their impacts and management. Reducing the negative consequences of these hazards has become an important concern in the national water resources and related risks management policy. In this sense, two strategies are relevant: National Strategy for Drought Mitigation, Prevention and Combating Land Degradation and Desertification, on short, medium, and long term (2008), National Strategy for Flood Risk Management for medium and long term (2010), and Flood Risk Management Plans (2016).